I noticed some mold spots growing on my brand new pebble shower floor and of course didn’t want to clean it up with a harsh, toxic commercial moldicide. Even the word sounds scary! So I consulted The Naturally Clean Home – 150 Super-easy Herbal Formulas for Green Cleaning book and tried the following recipe. The mold wiped right off! Combine all ingredients in a plastic bottle. Spray surface well. If you have mold buildup, allow the spray to rest on the surface for a few hours. Wipe off with a soft cloth, then respray and let dry without rinsing. You can use this recipe as the name suggests as a mold deterrent and spray surfaces without rinsing. I used peppermint essential oil in place of the cinnamon and patchouli since I didn’t have the others. 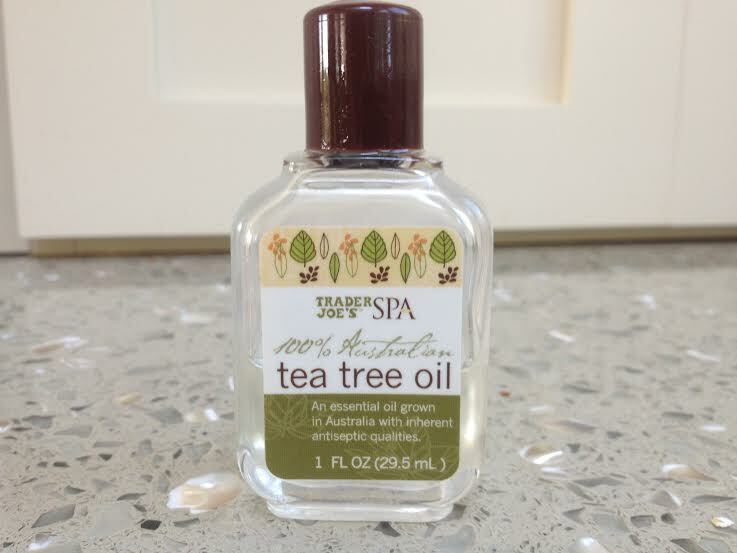 Tea tree oil comes from the Australian paperbark tree and is an all-around remedy long valued for its anti-fungal, antibacterial, and antiviral properties. Around the house tea tree oil can be used as a toothbrush cleaner, mold treatment, natural pest control (the strong smell naturally repels ants and other insects), and laundry freshener. For body care, tea tree oil helps control acne, fights fungal and bacterial infections, treats athlete’s foot, dandruff, lice, and gingivitis. In aromatherapy, tea tree oil can be helpful in alleviating chest and head congestion, stuffy nose, and other symptoms of colds and flu, especially when used in steam inhalation. A bottle of this little household wonder can be found at Trader Joe’s, Whole Foods or other natural food stores. 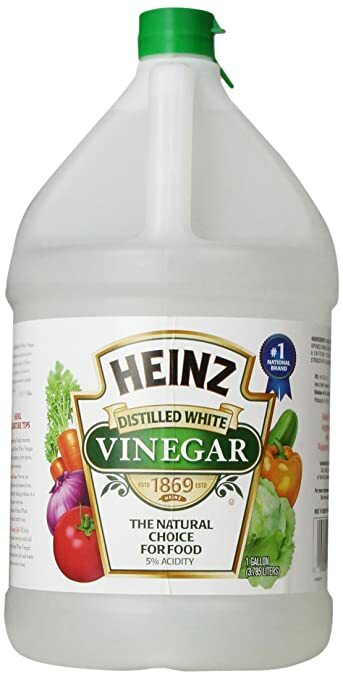 White vinegar (and apple cider vinegar) besides its obvious uses in cooking, is a completely safe all around cleaner, disinfectant, weed killer, pet cleaner, odor neutralizer, clothes whitener, glass cleaner and many more. No pantry should be without a huge container of vinegar! For more green cleaning tips, click here.